Hey there! Welcome to A Cruising Couple. We are so happy you’d like to learn more about our story. 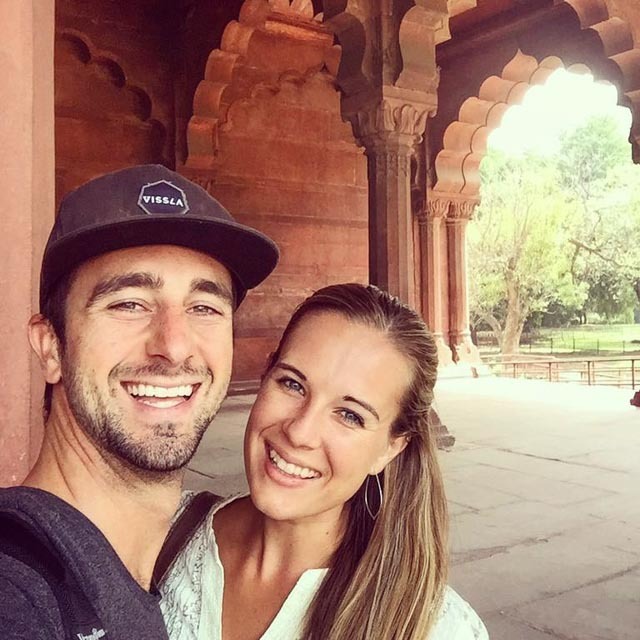 For starters, we’re Dan and Casey—lovebirds, world travelers, and adventurers extraordinaire. 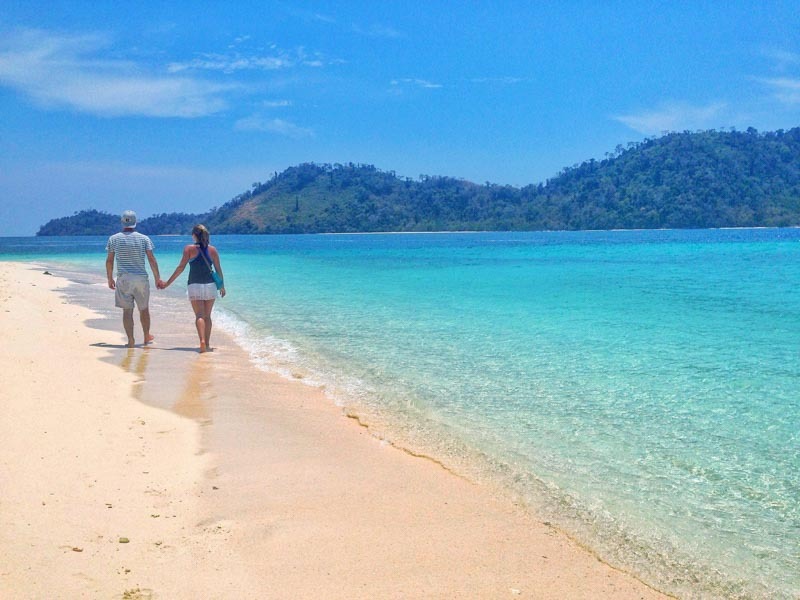 And this is our travel blog, A Cruising Couple. We met when we were a young 15 years old. We began dating at 17, the start of our senior year in high school. 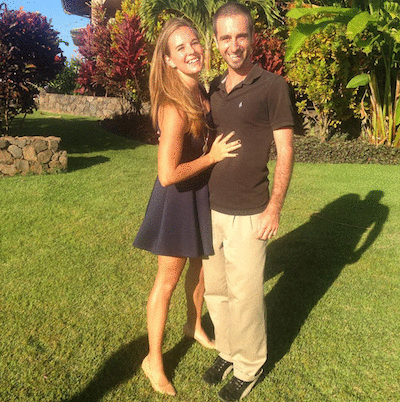 We tied the knot at the ripe old age of 22 – a week after graduating university. We’re high school sweethearts and now a married couple in our late 20’s. The years between meeting and marrying, we had our ups and downs just like anyone. We were both bitten with the travel bug from an early age, and though we were madly in love with each other, we were also taken with the world. We spent months and semesters separated by continents, exploring other countries on our own. But no matter how far our journeys took us, we always returned to each other. It should come as no surprise then that we dreamed of a life of travel together. 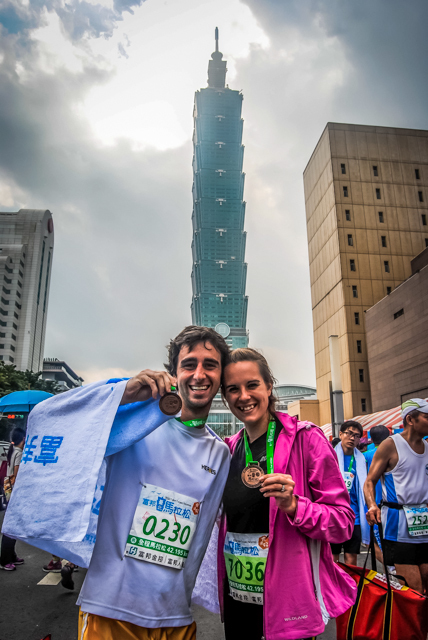 We decided that after our wedding we would move across the globe to teach and travel in Taiwan. 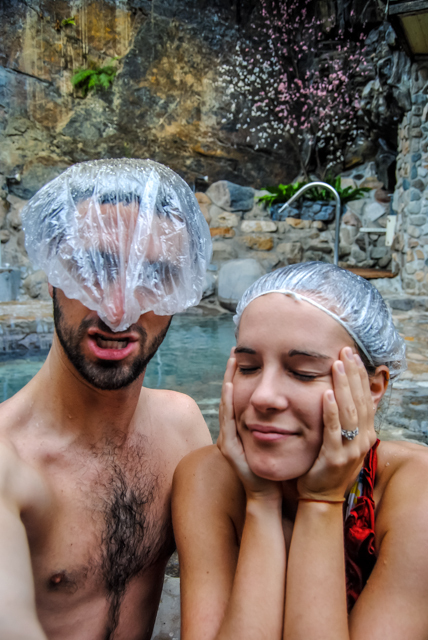 However, before we left, we wanted an epic, adventurous, one-of-a-kind honeymoon. A trip we could never replicate in the future. A trip that would prove our marriage could handle anything. We decided on a 7-week honeymoon road trip traversing the United States. We started in North Carolina, headed over to California, went up to Seattle and then crossed back to our home Tar Heel state once more. We spent every waking moment together adventuring around the US—and we loved it! Rather than having a wedding registry for home goods we wouldn’t use, we set up an online registry for contributions towards our road trip. We were gifted with amazing experiences, like hot air ballooning in New Mexico and wine tasting in Napa Valley. We were so blown away by the support and generosity we received from family and friends that we decided we needed a way to keep them involved on our honeymoon that they had made possible. 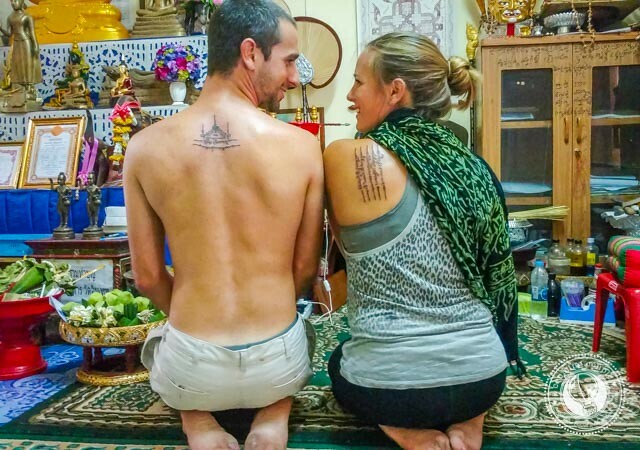 Hence, the birth of our travel blog: A Cruising Couple. We would “cruise” our way around the US in a ’97 Volvo Station Wagon. We would dub ‘Cruising Together’ our theme song. We would blog about the entire trip. And that would be that. Never in a million years did we think that our travel blog would have a lifespan of longer than a few months. If we had, perhaps we would have come up with a different name, joining the masses with a variation on the word ‘nomad’. But life is funny like that. 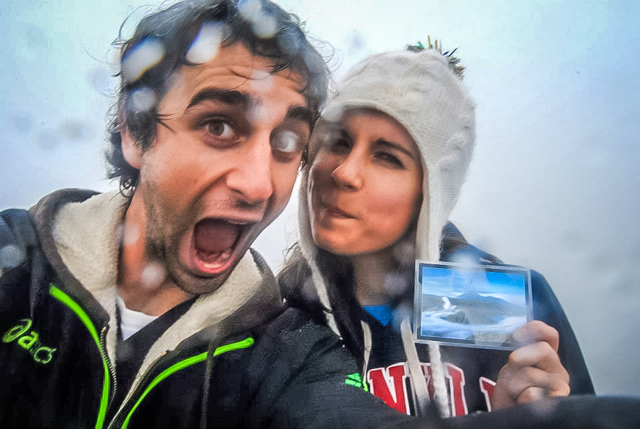 So here we are, A Cruising Couple, still blogging and traveling the world. 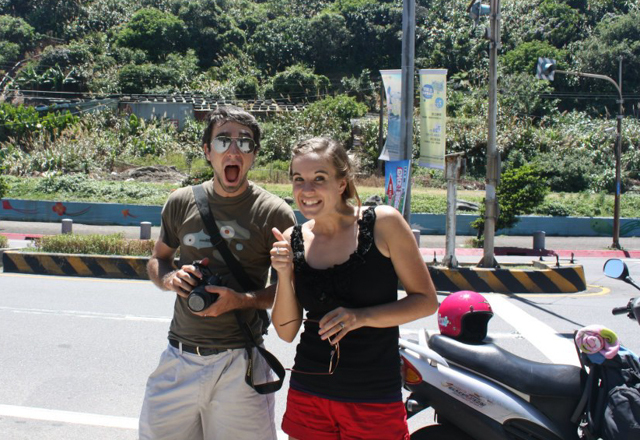 Upon the end of our road trip, we moved to Taiwan with the plan to stay one year. It didn’t take long to fall in love with the small island, the Taiwanese people, and our students; one year quickly turned to two. We devoted a large amount of our time blogging about Taiwan, even writing a free eBook to make living and traveling in Taiwan a bit more manageable. But after two years in Taiwan, we knew it was time to move on. While living in Taiwan did allow us many opportunities to travel around Asia, our wanderlusting hearts were craving more adventure. Mostly, we wanted to have the freedom to jet off to any part of the world we wanted at any time we wanted, with no contract to hold us down. Which brought us to the next chapter of our lives: following our dreams, slowly and indefinitely traveling the world. 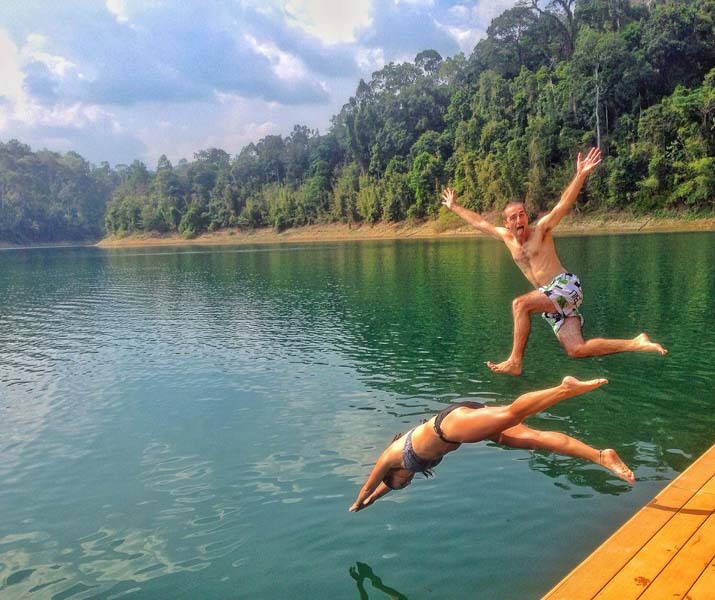 We choose to live adventurously, breathing in all the life we can before we find it’s too late. 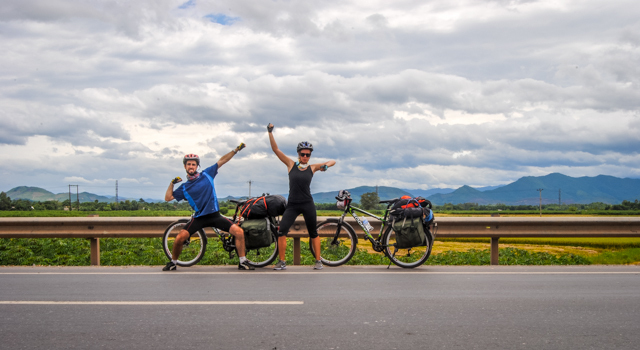 This life motto manifests itself in nearly every aspect of our travels—whether it’s cycling 1,000 miles through Vietnam, climbing active volcanoes in Indonesia, or just sampling unusual food in Asia. We consciously choose adventure travel. We want to show you that adventure is all in how you look at life. 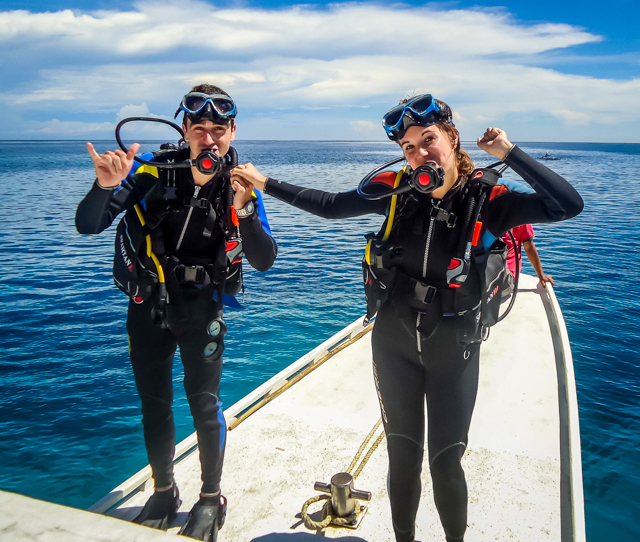 While sometimes our adventures might seem a bit extreme, adventure travel is for anyone who wants to experience new places and cultures; it’s for anyone willing to expand their comfort zone. Don’t get us wrong. While we seek to live simply and fully, we like a bit of comfort in our lives too. Maybe it’s because we’ve stayed in one too many gritty hostels. Or perhaps it’s the fact that we can never turn down a good glass of wine or fine dining atmosphere. Regardless, we like to keep things classy—because after a long day of exploring, there’s just nothing better than retiring in stylish comfort. That’s why we are bringing you the best of both worlds with our travel blog. Adventure travel with a dash of class. It doesn’t matter if you only have a two-week vacation or you’re on a permanent journey around the world. Here at A Cruising Couple, you’ll find inspiration for your adventures and the resources you need to make them happen—with a dash of class to keep things comfortable. After a year and a half of living a fully nomadic lifestyle, we now have a home base in Costa Rica. We still travel when and where we want. 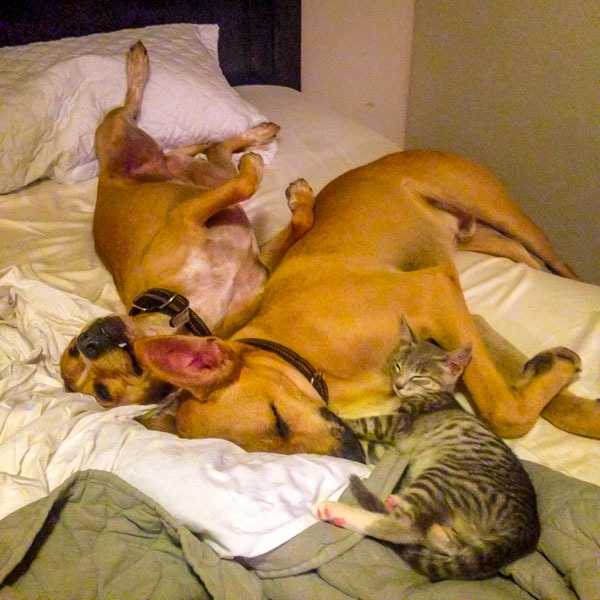 Luckily, living in paradise makes it easy to find housesitters to take care of our fluffy children while we’re away. Right now this is the perfect balance for us. We don’t have to juggle two-weeks annual leave, but we do get to come home to our very own creature comforts. We will always have a home base. And we will always find a way to travel a few months of the year. 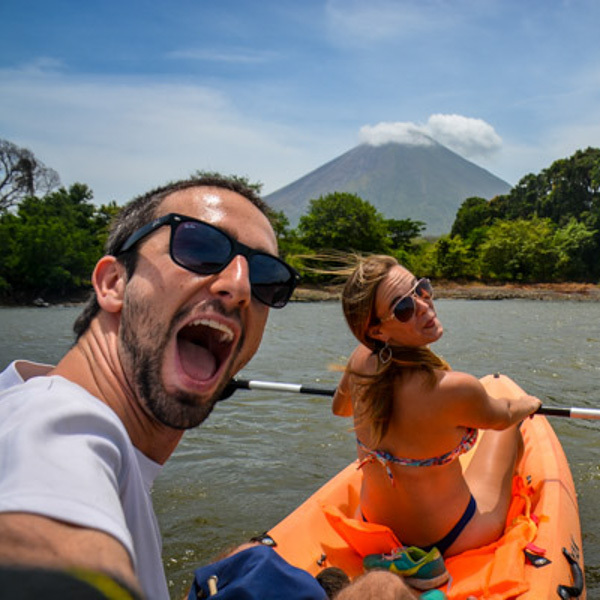 Want to learn more about living and traveling in Costa Rica? 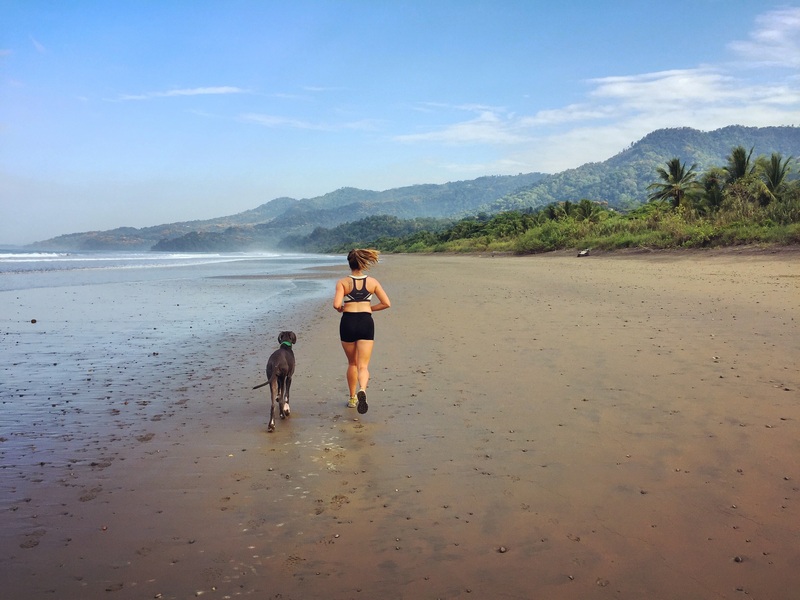 From destination guides to packing tips to expat life in the jungle, we’re divulging the pros and cons to calling Costa Rica home. We’d love it if you took a look! In addition to running A Cruising Couple, we’re also the founders of Untethered Media, a full-service travel and tourism marketing company. Through A Cruising Couple, we’ve had the unique opportunity to work with hundreds of phenomenal travel and tourism companies around the world. But throughout these encounters, we quickly discovered a huge problem: Far too many exceptional tourism businesses are not generating nearly enough bookings and revenue. And that’s where we come in. 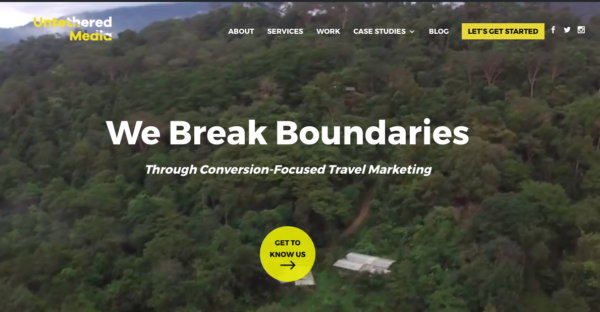 Since launching Untethered Media, we’ve helped numerous travel and tourism companies amplify their online presence, strategically connect with their target customers and generate more year-round bookings and revenue. If you’re a travel business, get in touch to talk about how we can combine our services with A Cruising Couple and Untethered Media to best serve you! Thanks for stopping by our piece of the web. We look forward to sharing our journey together in the future! Should you have any questions or comments, contact us at any time at acruisingcouple(at)gmail(dot)com. We do our best to respond to each and every comment and email we receive! While you’re here, why not leave a comment, follow us on twitter, like us on facebook, or subscribe to receive updates on new posts? We would love to stay in touch!